Halloween is a holiday for all ages to enjoy, from the tricks to the treats. 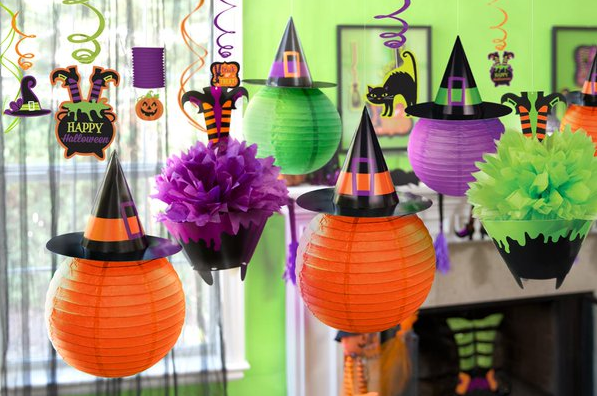 Whether your guests like silly or scary costumes, this is the time to go all out when it comes to turning your home into a spook-tacular fiesta. 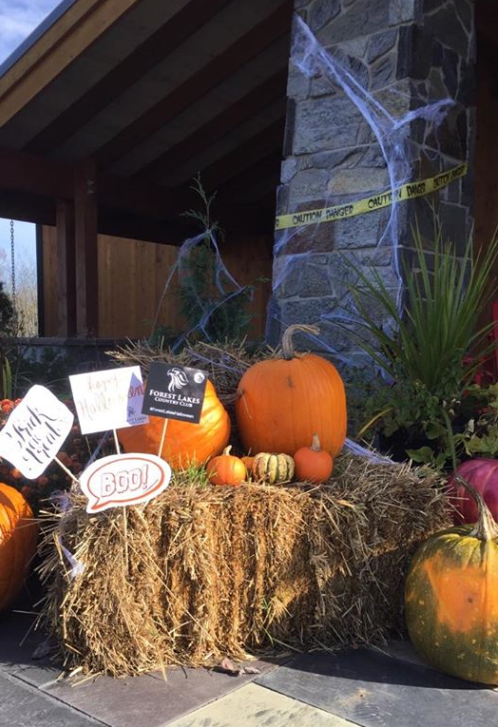 When it comes to planning for the perfect family-friendly monster bash, we’ve have provided a few tips to ensure this fun event is a hit! When we think of Halloween, we think of the bold orange and black colour theme. This year, try throwing in pops of blues, purples, and greens by hanging balloons and paper lanterns. Having pumpkins and gords placed around your home, inside and out, are a must, as these magically inspired fruits are the essence of this seasonal holiday. Using lots of festive garland is another fun decor piece – click here for option one and option two on how to make handmade garland. You can also have fun by incorporating Halloween decorations and themed snacks with fall colors. 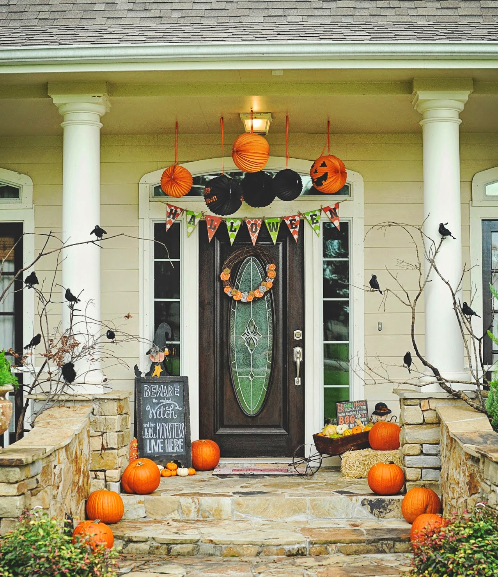 If you’re looking to make the exterior of your home Halloween-ready, there are a few key components to keep in mind. Starting with your lawn, you have mother nature at your beckon call. Leave the fallen leaves as is, and add in some decor pieces such as plastic tombstones, fake skulls, or scarecrows. Hang spider webs, or toy bats from your trees and hang skeletons or ghosts on your front porch. Don’t forget to have carved pumpkins on display. Finally, the door, as this is the entrance into your house of horrors. Add a few gholish touches such as eyes and a mouth, you could also have a Halloween-inspired doormat. As a finishing touch, play taunting music as guests approach your haunted house. If there’s one thing little goblins love, it’s tasty baked goods and lots of candy. Whether you decide to have a potluck or treats only, be sure to incorporate these imaginative Halloween staples into your menu. Lay out desserts that feature mummy cupcakes, skeleton cookies, and hootin’ halloween fudge. For healthier alternatives, provide, boo-tiful Jell-o cups, franken-juice, and crunchy apples. For ideas of main dishes, the toxic waste mac and cheese will have the kids screaming for more. The mummy meatballs will have you wrapped up in the savoury flavours. 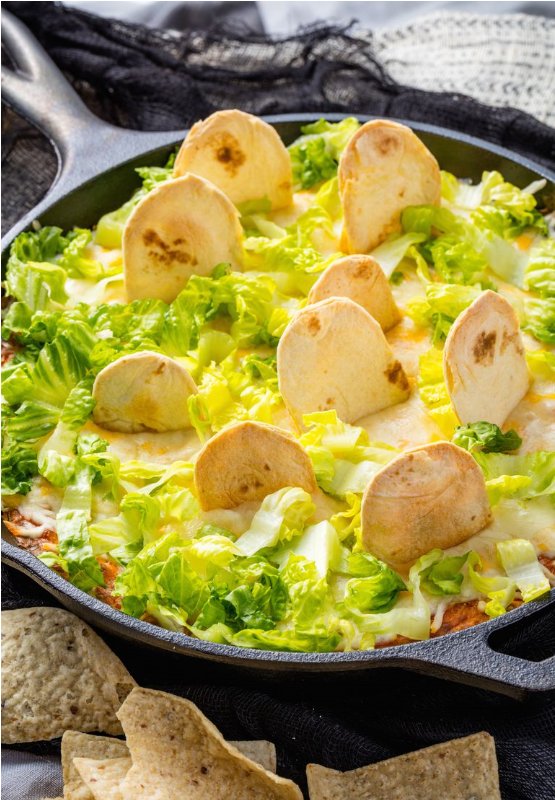 Not to mention the graveyard chicken enchilada dip is to die for. Looking to create fun memories with friends and family? Check out this great DIY Halloween photo booth; guests can grab a prop and show off their costumes. Another activity is to hold a jack-o-lantern carving station outside. Check out some awesome carving ideas here. Or if you prefer a less messy activity, set up a pumpkin painting station inside your home. You could also prepare a spooky scavenger hunt around your house, rewarding participants with cool prizes. Did someone say monster mash? Host a wicked dance party to create lots of laughs and enjoyment. Seasonal get togethers are important to partake in, as social experiences are good for your mental health as well as for capturing memories. Whether you want to throw a big party or a small one, it’s about being together and having fun. We hope these ideas have inspired you to throw your own family-friendly Halloween party in the spirit of hallows eve.